It can be daunting when trying to decide which stain and finish product to use when staining or refurbishing wood. Not all products are created equal. Some are made for ease of application, others for ease of clean up and others for durability. Classes are taught on wood finishing and restoring that are equivalent to a full semester of undergraduate coursework. 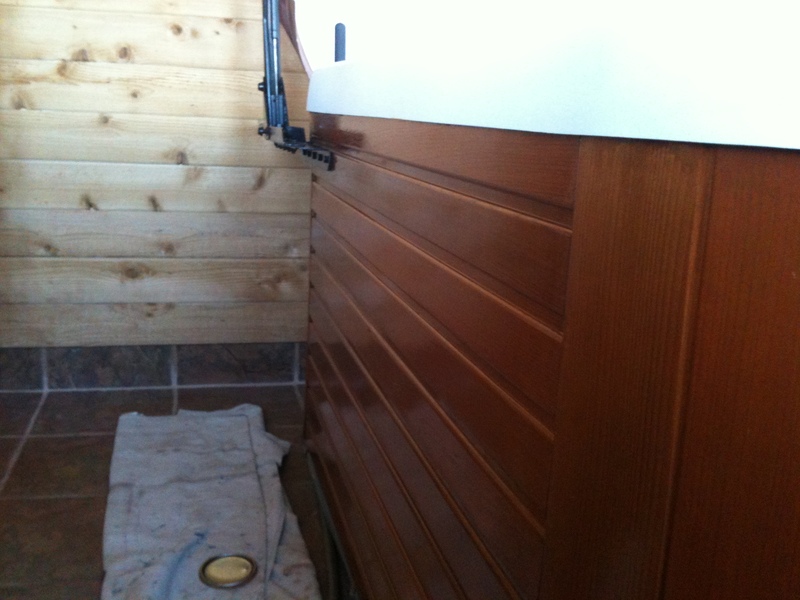 Keeping the wood on your hot tub looking brilliant can be one of the easiest items in your home to maintain. Let it go too long and the moisture will tear apart your wood and discolor it black. Simply re-stain the wood every other year in order to keep the wood from drying out and being oxidized by the UV light . Due to the small surface area, using a top of the line product is cost effective. In a few words, lets not use a penetrating stain. Coat after coat of penetrating stain will continue to darken the wood and saturate the wood, thus causing the wood to further degrade. Most penetrating stains are loaded with solvents that evaporate instantly. The cheaper stains contain very little of the compounds needed to reflect UV, thus allowing for faster penetrating of water and additional UV. Instead of using a penetrating stain, try using a hard clear coat, film forming urethane /stain blend that will do wonders for any type of smooth wood in your home. Not all surfaces are designed for this hybrid stain. A hot tub fits the bill perfectly! Sikkens – Door and Window – Sikkens makes stain products that time after time stand up to the elements and are rated top of the line for industry standards. Choose a tint color after preparing the wood and finish with the clear color. Future coats for maintenence – use clear. For additional protection a Spar Urethane can be used at very light and multiple building coats. If you want to get serious about it…Sikkens makes a Marine Urethane that is at the upper eschelon of marine coatings, as well as a marine coating for teaks and exotic hardwoods. Okay, maybe I got a little carried away, we are talking hot tubs here, not a hand carved teak boat.